Let’s face it, holidays are expensive things, and I don’t mean the hotel, transport or food, it’s the souvenirs that can add on all those extra costs. This is a way to create your own ones without breaking the bank. 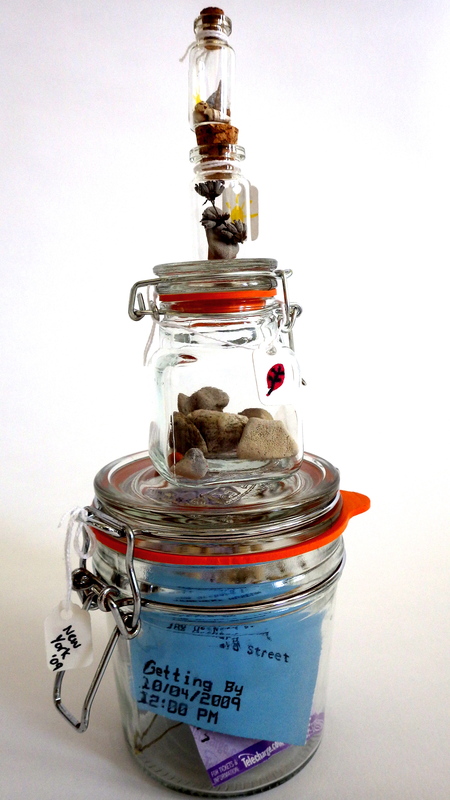 All you need is a mason jar and some objects collected on your holiday. 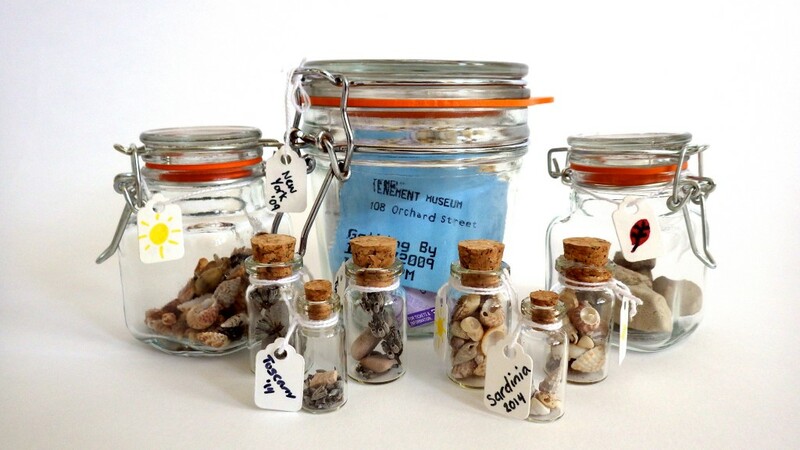 These could be ticket stumps from flights, museums, shows, pressed flowers, shells, sand, rocks etc. 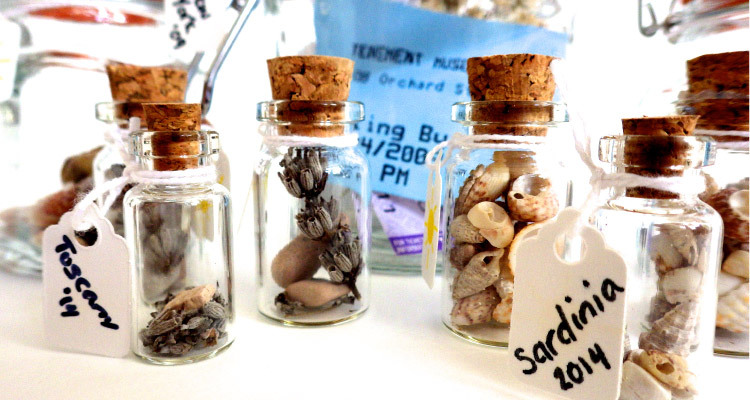 Then, when home fill your jar with your treasures and label it with where it is from. We used small tags with the place, year and symbol to show which season it was (sun for summer, leaf for autumn, snow flake for winter and flower for spring). I wish I had known about these earlier as a small jar filled with black sand and a shell would have been a great souvenir from a trip to Hawaii. Oh well, I will know better for next time.